Lowell-born, Boston-bred band Bearstronaut has been active in the national indie community for over two years now, and it's high time their pop-electro sound is finally being lauded as it should. The group is slotted to perform on main stages for both the ambitious nine-day Outside the Box Festival, making its inaugural effort this year, at the City Hall Plaza mainstage next Thursday, then in the same location in September for the Boston Calling festival's second effort of the calendar year. This is a long time coming for the group, which started downtown with EP Satisfied Violence in 2010, owned every party they attended and eventually released Paradice, a full-length album in late 2012. They've toured the circuit heavily developing a dance sound you can fall in love with without feeling guilty, and it's high time out feel in love-- they'll be plating the Allston-Cambridge circuit in addition to the free OtB show next week, so catch them before they catch the hearts of Boston Calling! You'll certainly be glad you did. One night when living in the dorms, by some stroke of misfortune, I strayed from the usual cast of characters only to find that they, for once, had adventured into the basements of Allston. They detailed, this one Sunday in particular, one of the greatest nights, set to live music. Of course, I was nowhere to be found that evening. I was mystified. Was it true? What kind of music, in Allston, was being produced, that could capture the hearts of your average, Lady GaGa-worshipping, college girls? The heroes of my musically disinterested friends? Bearstronaut. Click here to read the rest of Madi Silvers' review of Bearstronaut. From the start, I knew that with a name like Bearstronaut (which, PS, is also a computer game, with its hero: a Bearstronaut), this new-to-my-radar band had to be good. They certainly couldn’t be expected to take themselves too seriously. I was intrigued. It took a few weeks for me to come face-to-face with the group. Bearstronaut, coincidentally, was the music performance on my first (and hopefully only) appearance on late-night, local television. As I bit my nails feverishly, Bearstronaut, with ease and flare, projected mellifluous, and color enriched sound waves that resonated with the live audience members. It was silent. not a person dare break their gaze. No one wanted to, at least not me. The song responsible for this auditory enigma was "Mondrian," a title track I came to find out, off the group’s debut release, on indie label, Vanya Records. I was impressed. Bearstronaut had combined the best of The Cure, Brian Ferry and Roxy Music, and New Order into a sound that well, establishes the group, in my opinion, as astronomical heroes of synth pop. Hinting at The Cure, or any of the mentioned groups, is almost taboo: it’s almost impossible to truly do any ofthose icons, the justice they deserve: Bearstronaut excluded. I got it. I got why my uninspired friends were so inspired. I saw the group’s potential for success. I envisioned the conversation I’d have with people when Bearstronaut, one day, is launched into the limelight. I’d brag about their then modest performance. 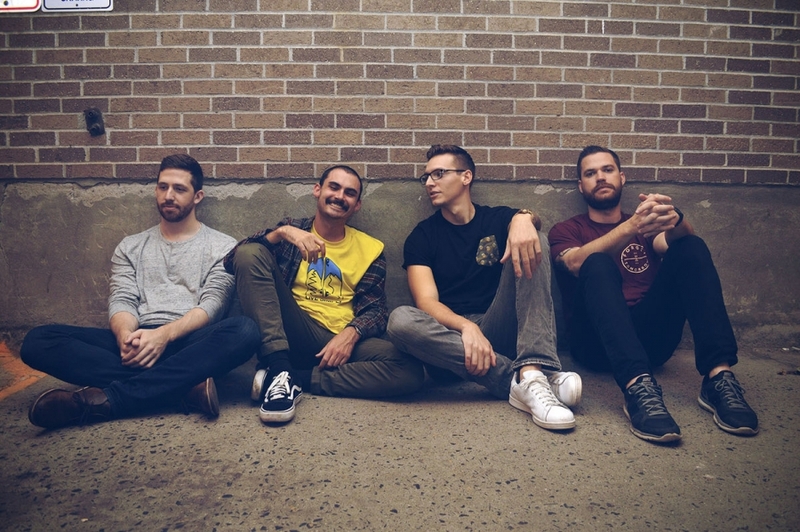 Newest addition to the Bearstronaut line up, Nate Marsden (bass), describes the group’s expected September sophomore release as their “coming out”. "Painted in the Dark," the latest single, rings true to this statement. Like "Mondrian," "Painted in the Dark" establishes influences from The Cure, to Roxy Music, and New Order. However, this time around, the band has managed to refine its sound and build something unique to their sole namesake. 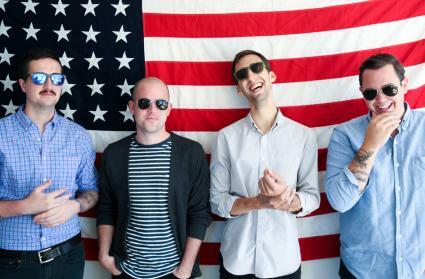 Bearstronaut’s band name isn’t the only quirk associated with the group. The band’s first single, off of their yet to be released album, "Birds of Prey," was released via “Brucie" the prison bus, en route to SXSW, last March. As if the circumstances surrounding the track's unveiling wasn’t interesting enough, "Painted in the Dark" managed to make its predecessor look like mere child’s play. Initially written as a 30 second montage in an upcoming indie film, the director (like so many before him) was impressed and enlisted the group to turn the sound clip into a full song for the film's ending credits. It’s going to be a long few months as I impatiently await the hopeful September release of their full-length. One thing is clear, though, Bearstronaut has the innate quality to captivate listeners within seconds. Be it from the audience of live TV recording, the intro to a film montage, or the basement of a house in Allston. 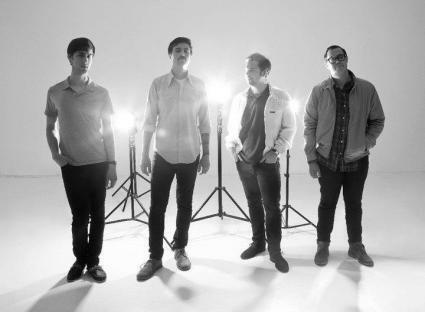 Here’s to synths and alternative-pop music, and of course... Bearstronaut. With that said, hopefully, I’ll see you at the group’s next show, at the Mirror shades at Good Life in Boston, on June 21st.